Here are some words of motivation from some of the articles I have written as well as just some things that I believe to be true. I also share a lot of my thoughts on my Facebook page. Follow me there for more updates and interesting insights. "The truth is, whether you know it or not, your thoughts are responsible for whatever place or situation you are in right now." 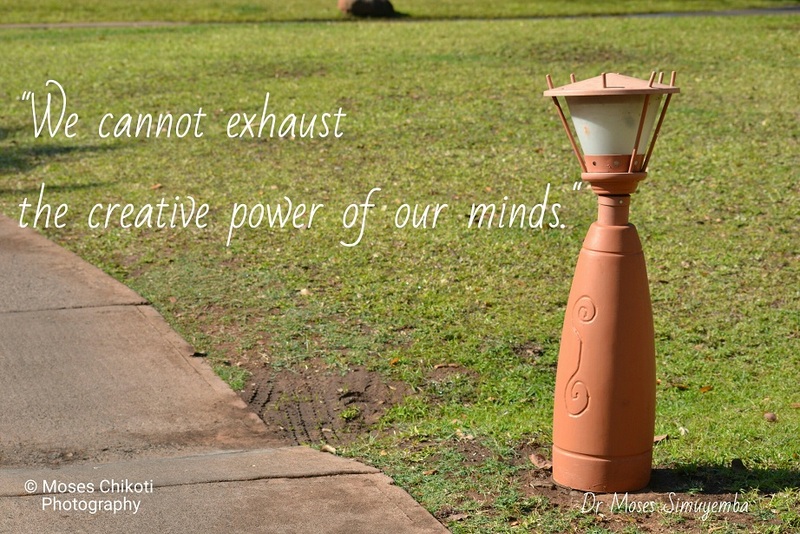 "Any self-improvement program or journey of personal development starts with your thoughts. 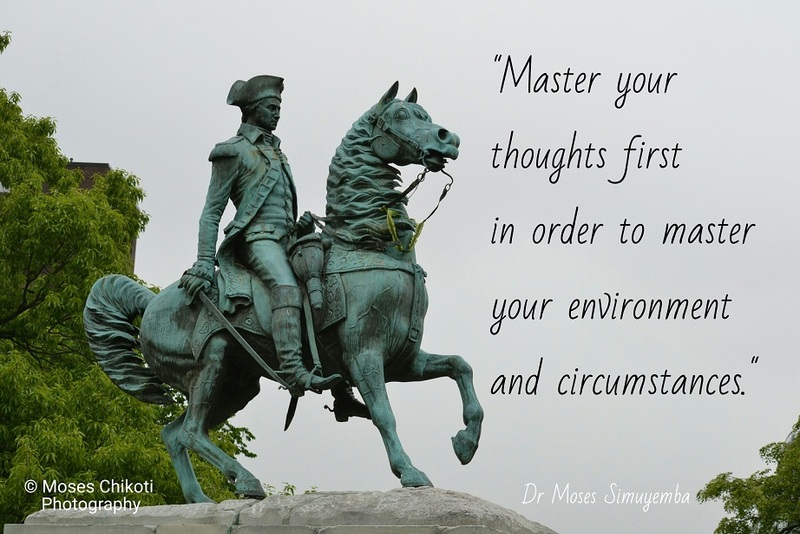 Master your thoughts first in order to master your environment and circumstances." "Dreamers chart their own course and destiny. Dreamers are always striving to be the person they were meant to be and are not afraid to be different." "I am here to tell you that there is another way. It’s not for everyone. It’s not the only way. It’s not the easier way. Actually, it is more likely to be the harder way. But I guarantee you it is the best way. It is simply this – follow your dreams." "If your mind can accept that something is achievable, it will find a way to attain that thing." Sunset at Chaminuka Game Reserve, Lusaka, Zambia. "Your vision is limited only by you. The problem is that you don’t know what you should be. It’s not your fault, really: your education has messed you up. 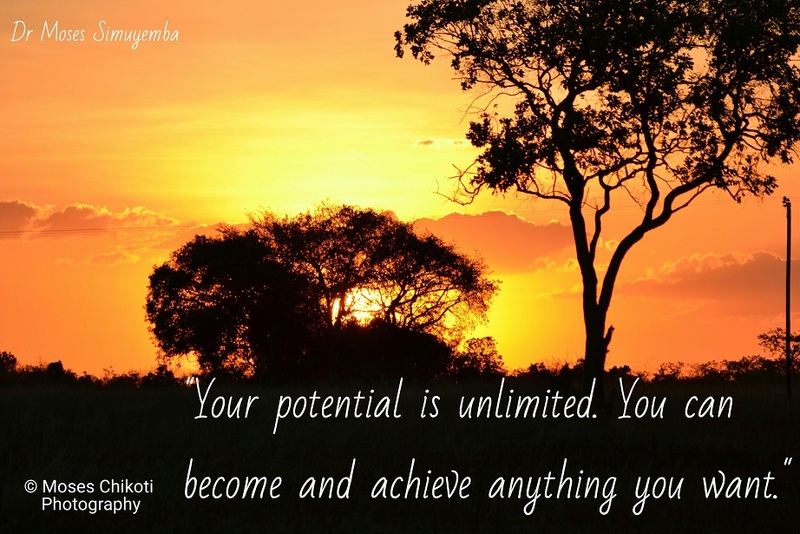 It has taken your boundless potential and shrunk it and shaped it into a narrow title." "It is your responsibility to get the correct knowledge so you can have the correct road map of life. Ignorance is no defense. Ignorance will kill you." "The truth is that while you are not totally responsible for what does and doesn’t happen to you, you are responsible for how you respond to what happens to you. Protea Hotel Safari Lodge, Lusaka, Zambia. "It may seem hard to take full responsibility for your life, but ultimately you will find it is the single most empowering decision you will ever make." "The amount of effort it takes to fail is the same amount of effort it takes to succeed as far as the mind is concerned. It is your responsibility to provide it with the right seeds of thought." Inspiring and motivating words about many subjects of life. Be sure to look out for new additions to these words of motivation.